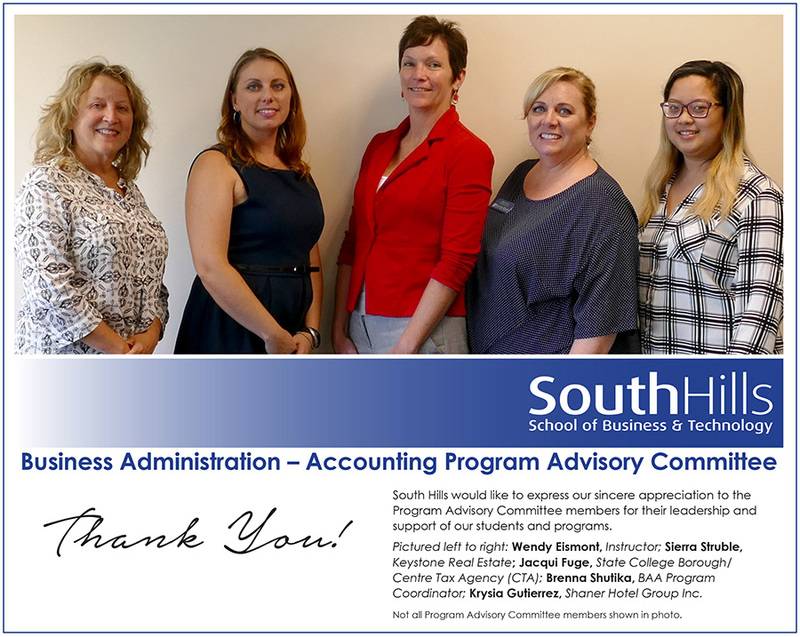 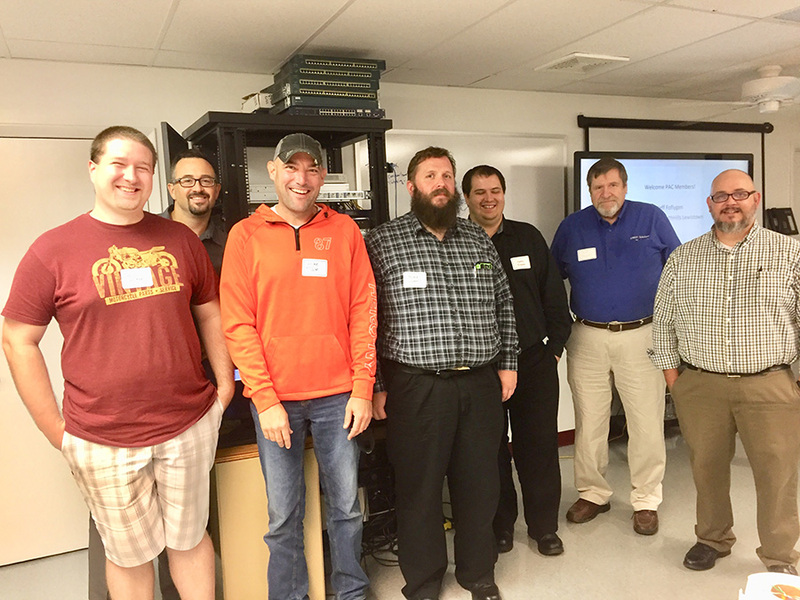 STATE COLLEGE — Each of the eleven programs at all three of South Hills School of Business & Technology's campus locations have a Program Advisory Committee (PAC) that is made up of practitioners from their respective fields. 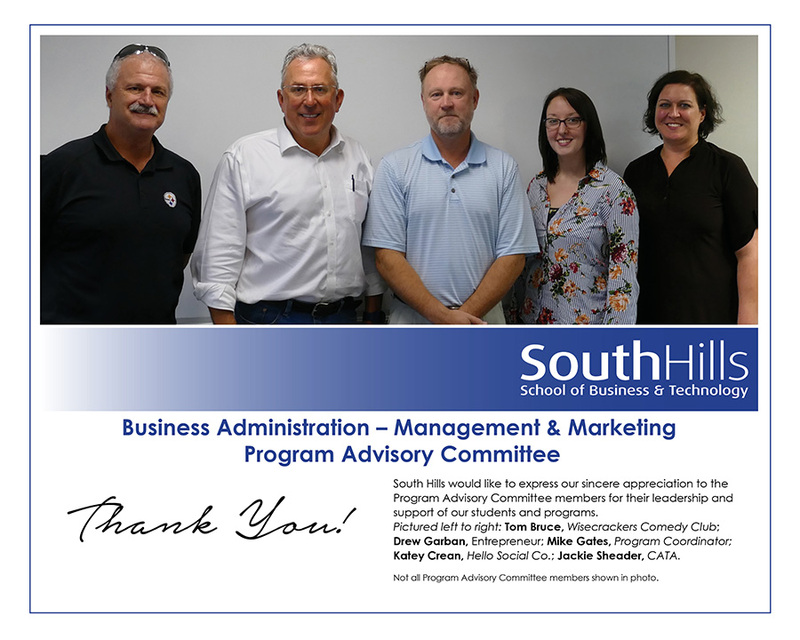 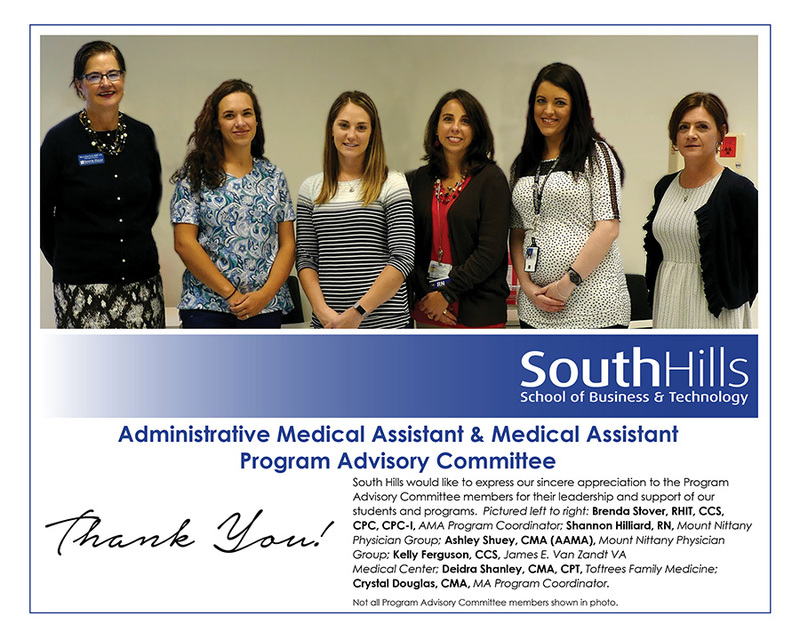 South Hills selects a diverse representation of local employers, internship site supervisors, and distinguished alumni to serve as PAC members. 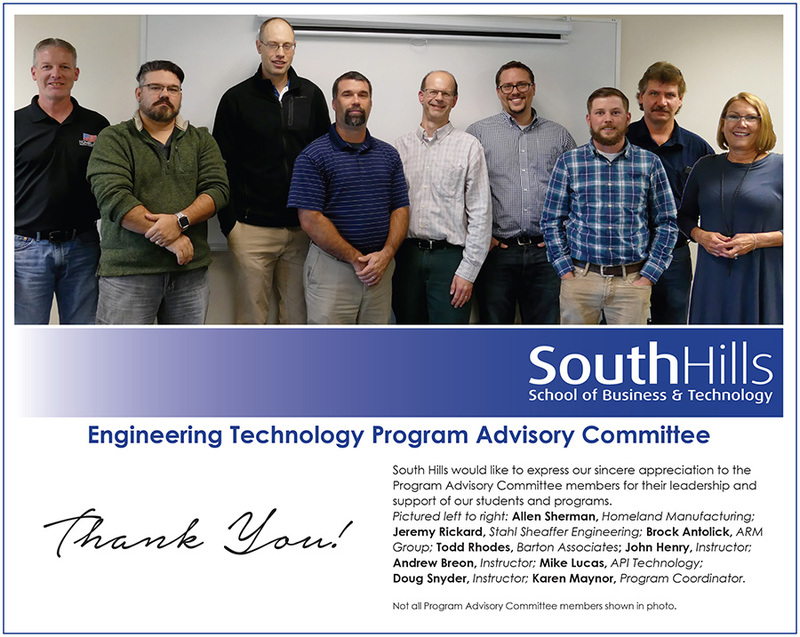 Meetings are held twice a year to obtain feedback and ideas for improvement to the program curriculum, learning resources, equipment, facilities, and program objectives. 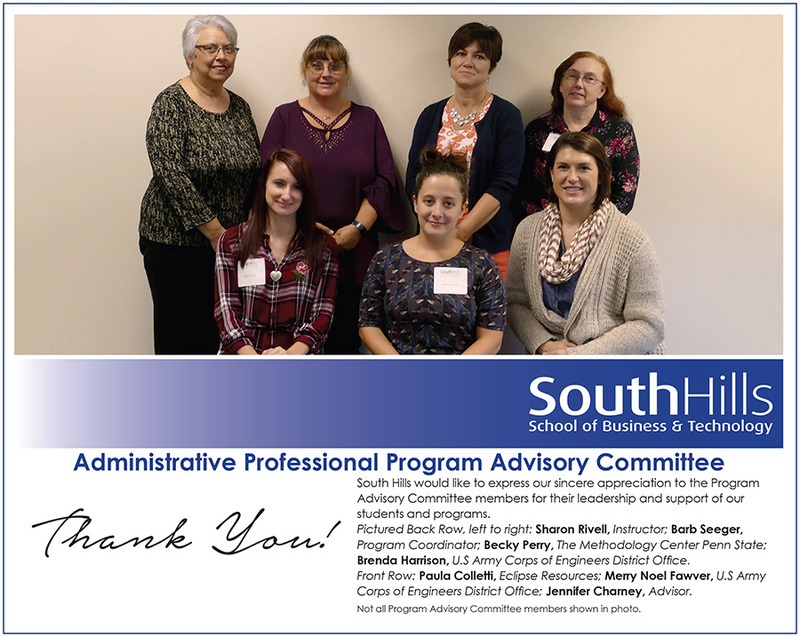 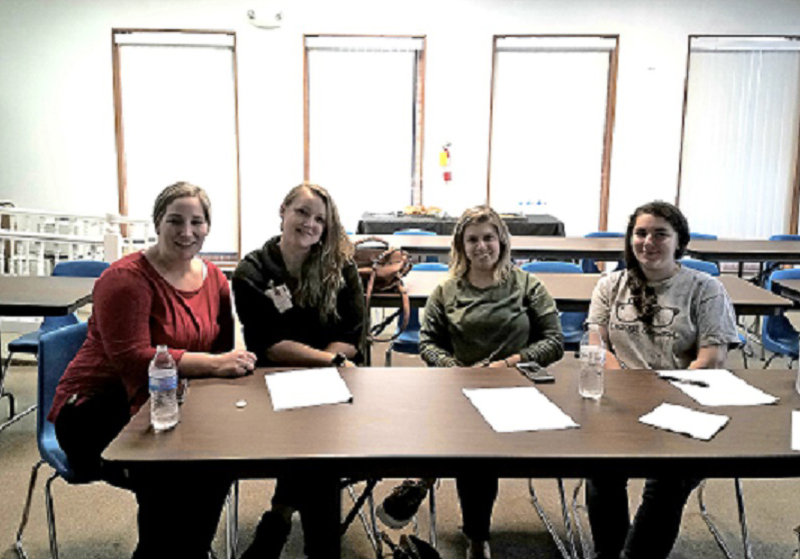 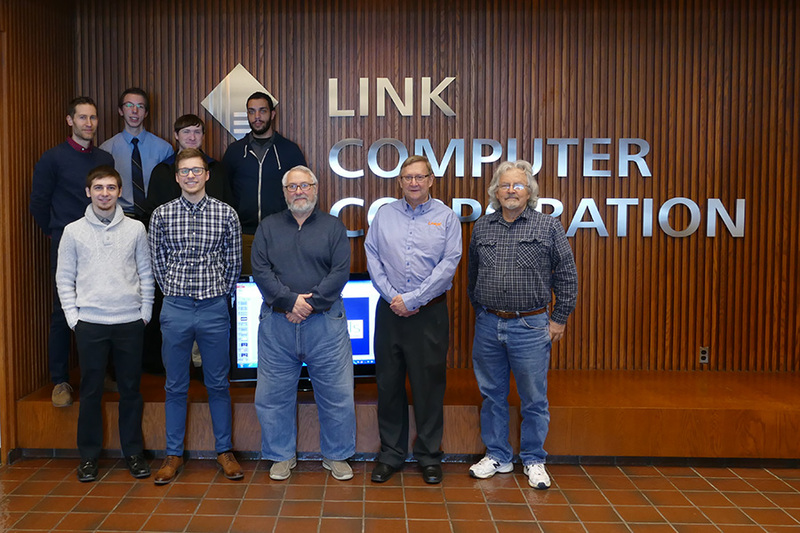 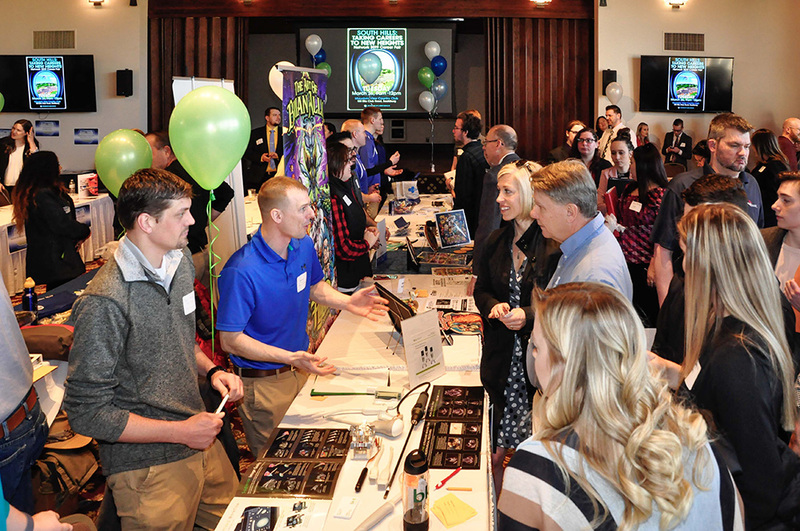 “The feedback from our PAC members is critical for keeping our programs current and relevant and helps to ensure that our graduates have the knowledge and skills necessary for success in the workplace,” said Sue Vidmar, Assistant Director of Education. 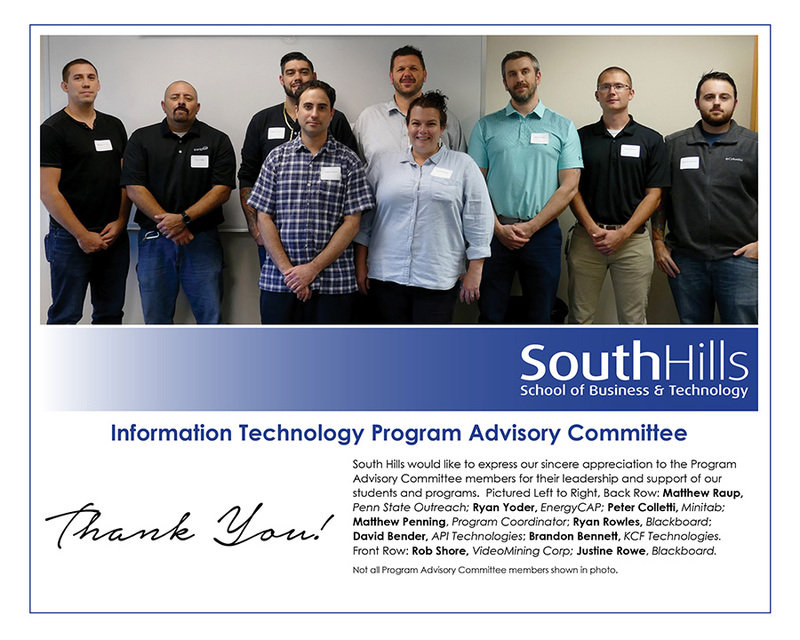 South Hills strives to involve the PAC members in the school as much as possible by inviting them to capstone project presentations, asking them to serve as guest speakers in our classes, and also inviting them to conduct mock interviews with our students. 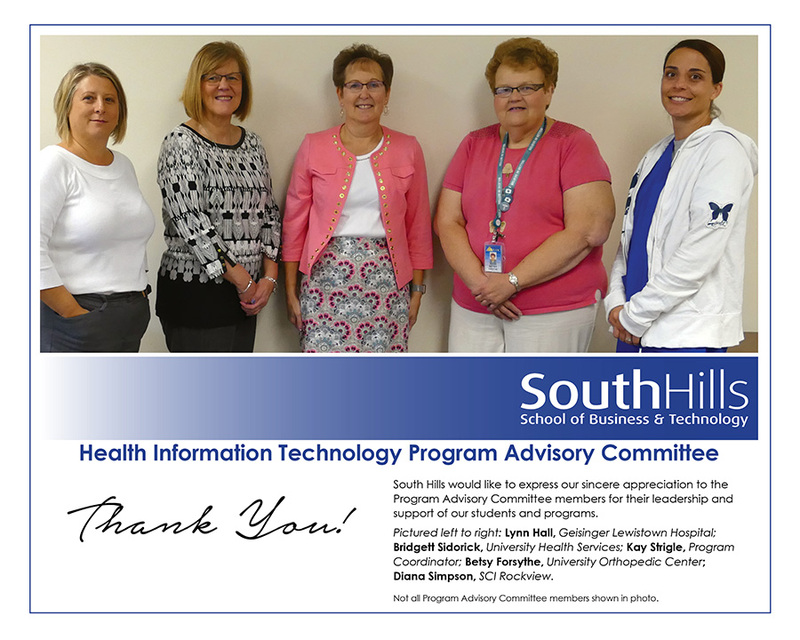 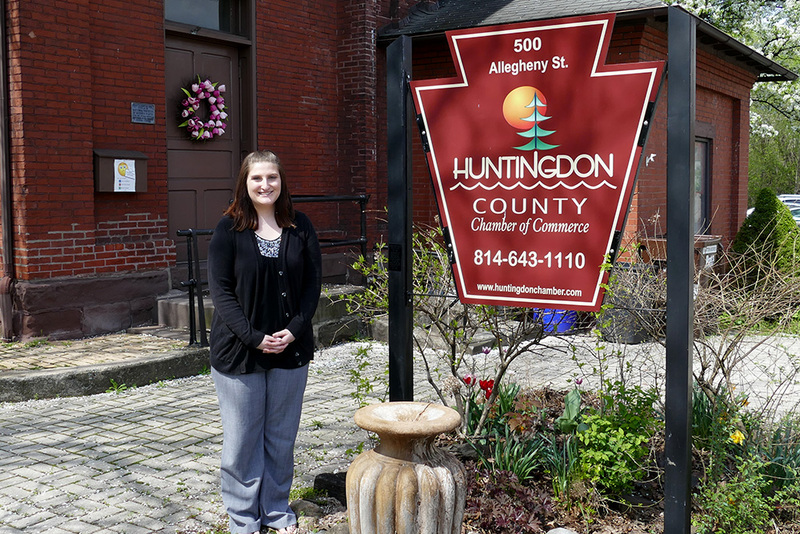 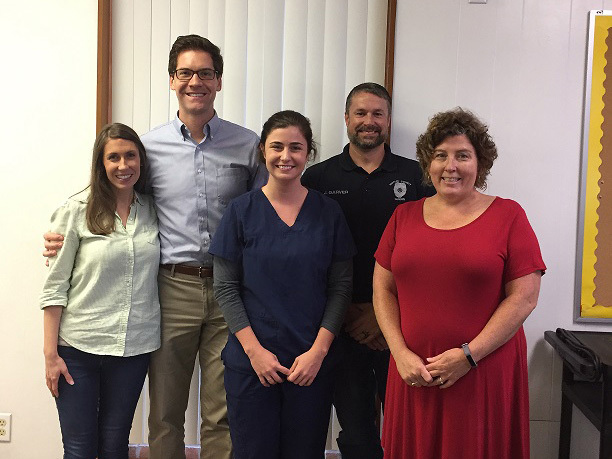 As a way to say "thank you" to our PAC members, South Hills students and faculty from our State College and Lewistown Campuses participated in a photo shoot with them. 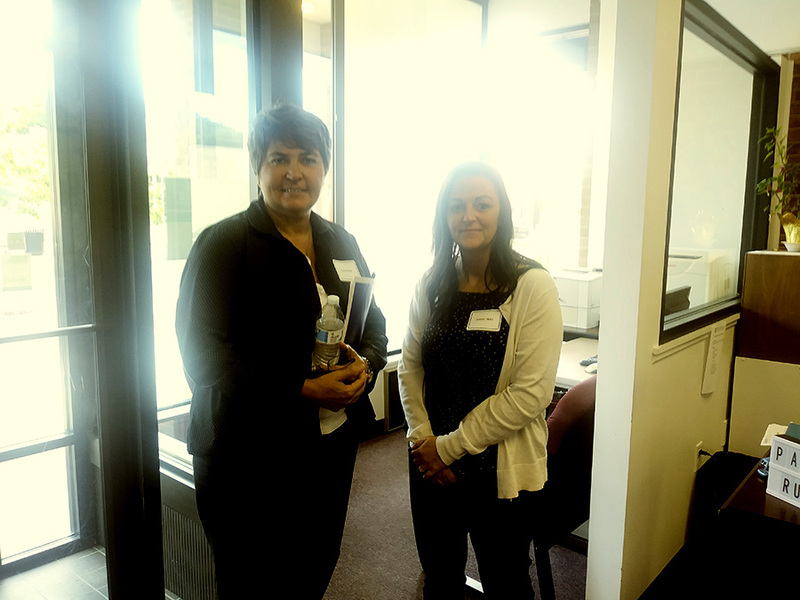 Click through the gallery below to view the images.